With that comes a special kind of respect, prestige and unique benefits, including the VA Home Mortgage Benefit. There is no other home loan program to compare with a VA Home Loan. There are several lenders that you can go to apply for a VA Home Mortgage, so which one is the best for you? Most banks and mortgage companies look at you as just a number on a loan file, and they don’t understand just what it means to be a Veteran. They tend to look for what’s wrong with a loan application and not focus on the good points. Not all loans are perfect, but that doesn’t mean they don’t deserve to be approved. At Envoy Mortgage we focus on what’s good about a loan file and we know that people are more important than anything else. So who should you chose to work with on your new VA Home Loan? You need an advocate; someone who knows who you are and what sacrifices you and your family made to get where you are today. As a Marine Corps Veteran myself, I have been there too. Your VA loan is a Benefit that you have earned and I will make sure that you get every advantage with a smooth transaction, competitive interest rate and fees, and superior service and communication throughout the transaction. Whether you are purchasing your first home, refinancing for a lower interest rate, or taking cash out for any reason, I will be there with you every step of the way, from application to closing. That’s my personal promise to you. Call today and we will help you with a VA Loan in Sacramento, Roseville, Rocklin and Greater Sacramento area or anywhere in Northern California. 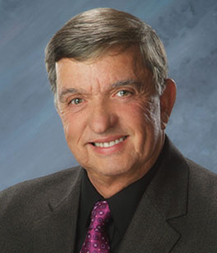 VALender.com is a personal website, owned by Doug Bullwinkel, a Mortgage Loan Originator and full time employee for Envoy Mortgage. He has over 25 years in the Mortgage Industry and has helped thousands of clients achieve the dream of home ownership. All loans are originated and funded through Envoy Mortgage. 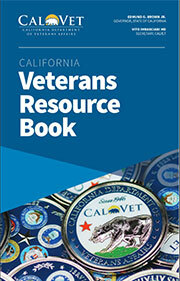 This 220 page guide provides valuable information on VA Benefits including Health Care, Disability and Special Programs available to California Veterans. Just complete this form.We will send this to you at NO COST!